After my Konad Stamping Kit from Born Pretty Store , i was literally craving for some good quality nail art dotting tools ... you can create so many amazing nail designs if you have them so when I received my package I was so excited. 3. You can use this useful tool for creating a marbling design, blending colours, creating swirls and textured finishes. 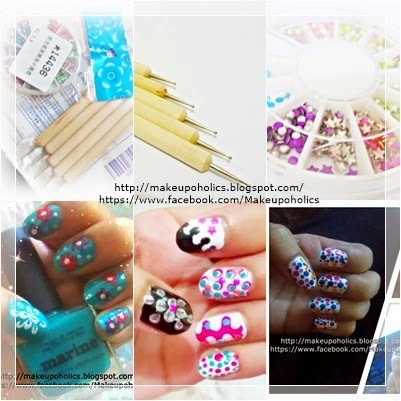 Nail art wasn't so easy and quick before this amazing dotting tool set . I totally love it . The dotting tools are of high quality wooden made . The size is so perfect that its not only easy to hold a proper grip but also to easily carry in a small pouch or makeup bag wherever you go. Both ends are of different sizes so you actually get 10 dotting tools of different sizes in five pieces . 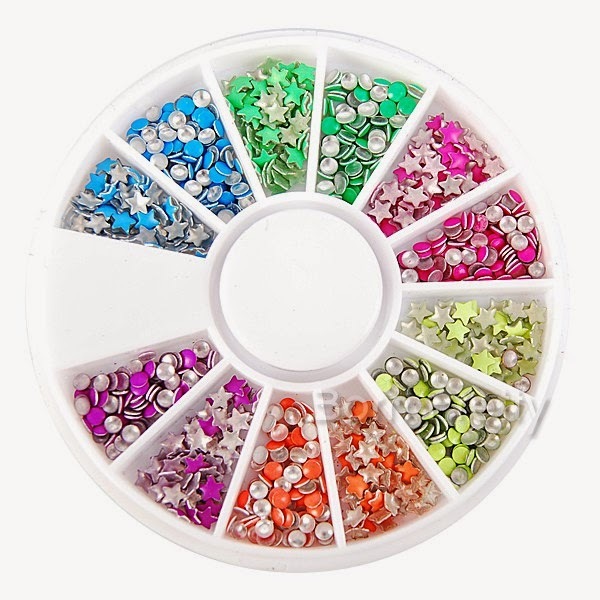 I absolutely love these as they literally can help you to achieve a desired nail art . 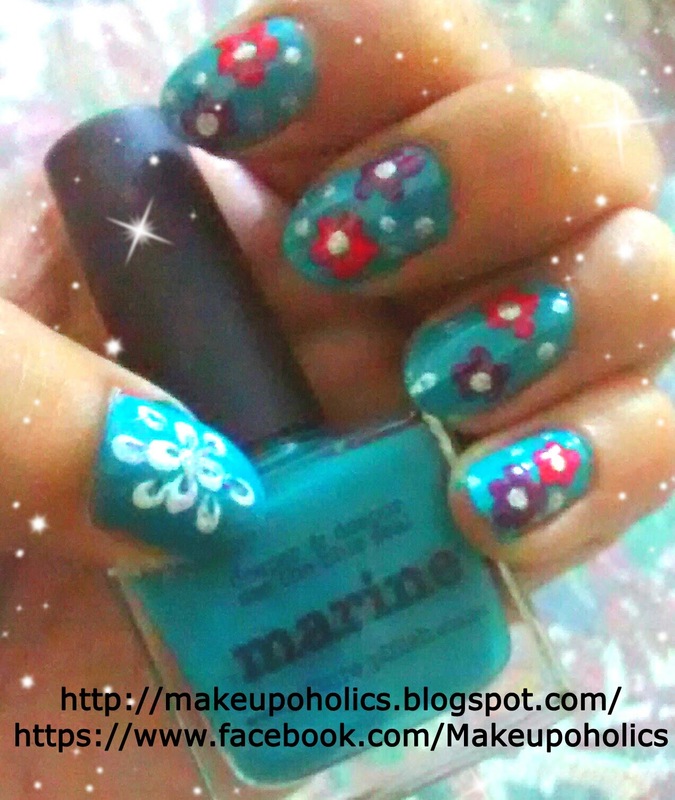 You can use your own creativity or just search for dotting tools nail art on your search engine for some amazing designs. 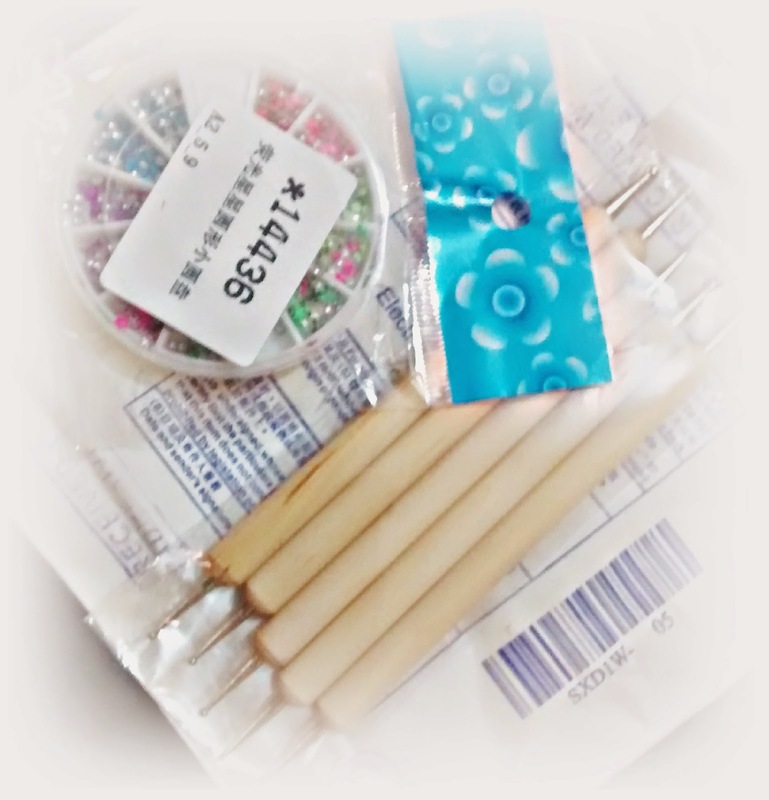 Also it was so easy to apply any kind of studs or rhinestones with the help of these dotting tools . Just dip your dotting tool in some clear polish or top coat and just touch the stud .The stud will stick to your dotting tool and you can put it anywhere according to your choice. Secure the stud or rhinestone with some top coat . These studs are also of some great quality . You can create many designs with the help of these . The combination of both dotting tools and these studs were like match made in heaven . Nail art is so fun and easy with these that I decided to post a NOTD activity at least once a week . Definitely Yes , these are super affordable , travel friendly and easy to use. If you are into nail art , these are like must haves for you . 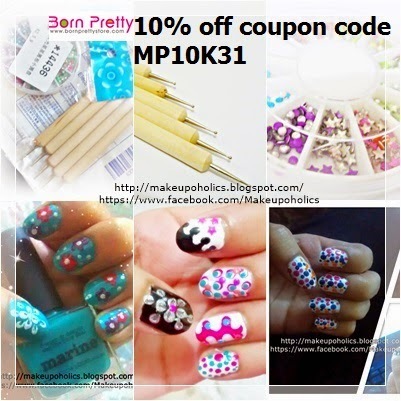 I love my Born Pretty Store 5Pcs 2 Way Wooden Dotting Pen Marbleizing Tool Nail Art Dot And 300Pcs 2mm/3mm Colored Star Round Shaped Stud Rhinestone Nail Art Decoration and I am sooo thankful to them for giving me a chance to try these awesome products . Born Pretty Store team is kind enough to offer a special 10% discount on all their products for my lovely readers . You just need to enter the 10% off coupon code MP10K31 before checkout. Isn't that amazing ! Born Pretty Store ships worldwide and you can check their amazing website Here . You can also find them on Facebook page Here or follow them on Twitter Here. You have done a great job. All of your nail arts are superb. 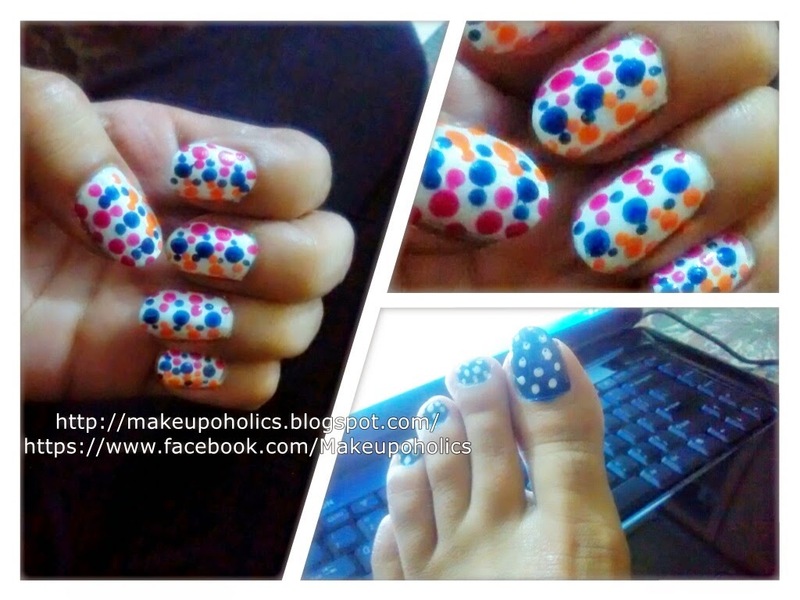 love the nail art on your foot it is soo cute! !